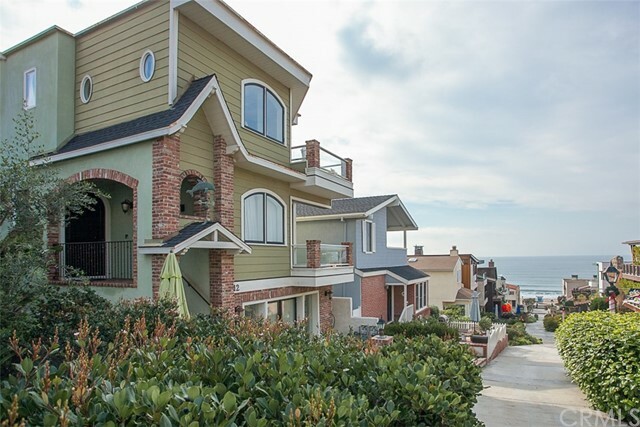 All Manhattan Beach homes currently listed for sale in Manhattan Beach as of 04/21/2019 are shown below. You can change the search criteria at any time by pressing the 'Change Search' button below. "ONCE IN A LIFETIME OPPORTUNITY TO ACQUIRE AN OCEAN FRONT LEGACY ~ A ONE OF A KIND SOUTH FACING 1 and 1/2 CORNER LOT PROPERTY, ENSCONCED ON THE PRESTIGIOUS SOUTH MANHATTAN BEACH STRAND. THIS ICONIC LOCATION OFFERS A FRONT ROW SEAT TO THE BREATHTAKING, PANORAMIC VIEWS OF A DRAMATICALLY CHANGING SHOW FROM CATALINA ISLAND TO MALIBU, WITH EXCEPTIONAL, CLOSE-UP VIEWS OF THE LANDMARK MANHATTAN BEACH PIER, SURFING AND VOLLEYBALL. 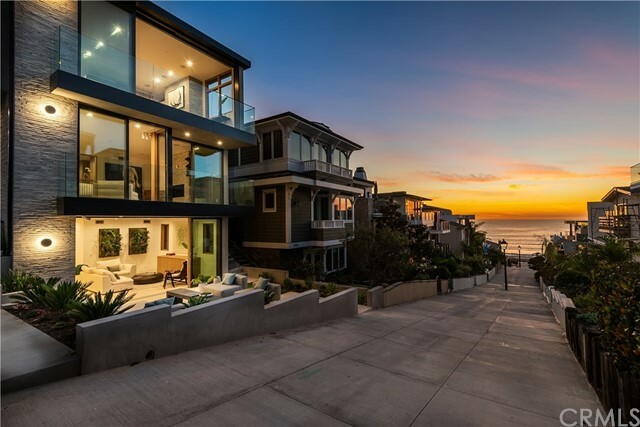 THE PROPERTY IS LITERALLY SITUATED WITHIN STEPS OF DOWNTOWN'S CHARMING SHO"
"Strategically imagined accentuating the beauty of the coastline this Warm Contemporary extraordinary home was designed to sit above and capture awe-inspiring views while maximizing privacy. A thoughtful balance of rare wood, stone, metal and exquisite architectural details create a home like no other. 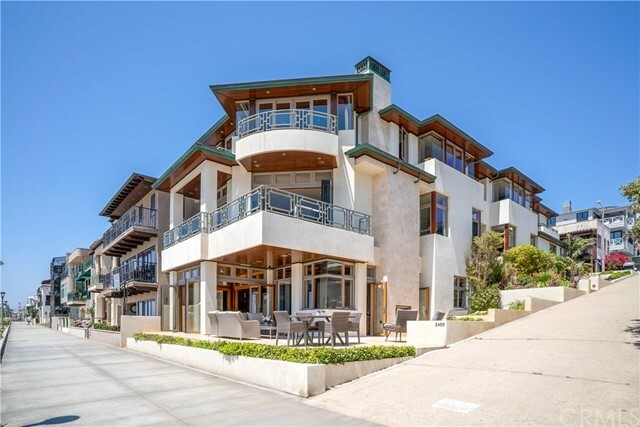 An impressive entry leads you into the private main living area complete with a generous great room, entertainers' dream kitchen with panoramic ocean views and cool breezes from the expansive and i"
"Nothing but skies & sands and the blue Pacific Ocean! 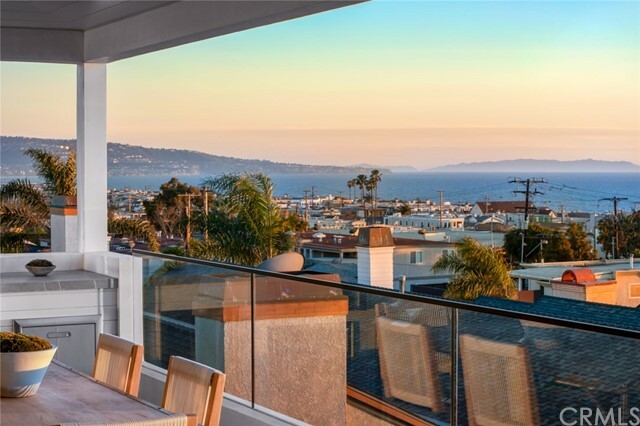 Experience oceanfront living at its finest, with stunning views from Malibu to Palos Verdes to Catalina. Walk to shops, restaurants and everything Downtown Manhattan Beach has to offer. Or, relax, sit back and watch the sunset in the comfort of your balcony. The main home was remodeled featuring a gourmet kitchen with stainless steel state-of-the-art appliances, including a wine cooler, ice maker, 4 burner stove with a center grill station, s"
"This North Manhattan Beach Strand home provides the perfect opportunity to entertain as well as relax while watching and listening to the waves breaking on this prestigious beach. 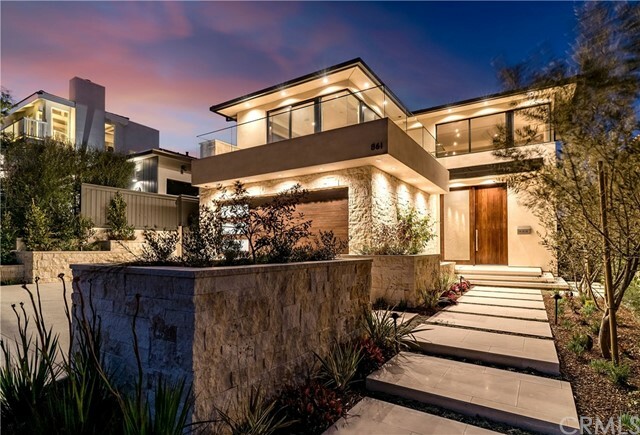 You will be inspired by the stunning sunsets from every level of this luxury home. The entrance provides a private in-ground spa with a courtyard area before you walk into an open floor plan featuring a kitchen with stainless steel appliances and granite countertops as well as a family room with large, new windows feat"
"Conveniently located between Marine Street and Bruce s Beach, the area encourages an active outdoor lifestyle with a park of rolling grass and a popular surf spot. The fireplace and eco-friendly bamboo style flooring in the living room, create an inviting place to relax or entertain a small or large group. A picture window in the dining room provides more beach views to make meals memorable. 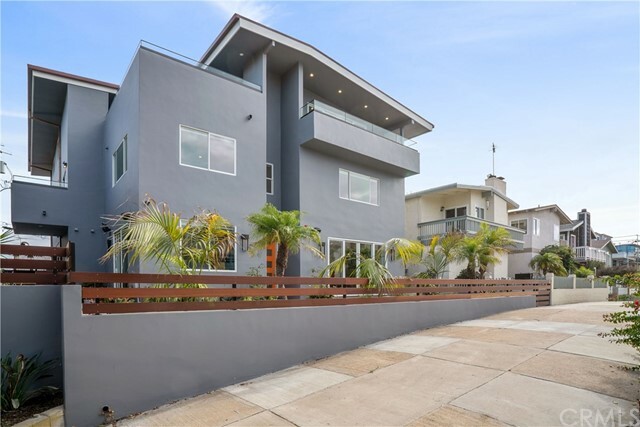 The galley kitchen has stainless steel appliances, granite countertops, glass backsplash, "
"Quite simply 212 16th is the best finished most well executed brand new ocean view single family walk street home to ever hit the open market. 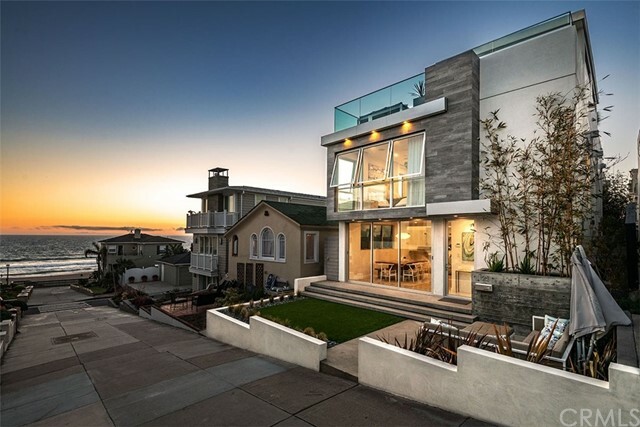 A collaboration of Silicon Bay Development and a world renowned designer out of Venice comes this 4100 square foot Warm Modern masterpiece that a lucky family will be able to call their home. Enjoy Ocean Views from the entire top floor as every detail comes together to make you want to never leave. Finishes include Exterior Peterson Brick fro"
"Detailed. Sophisticated. Designer Perfect. The home boasts 4,135 sq ft plus 977.5 sq ft of outdoor living space. 4 well appointed bedrooms, 6 baths (2 powders). Superior brand plumbing fixtures throughout - Kallista, Toto, Dornbracht, Watermark & Waterstone. Gourmet kitchen offers top-of-the-line Miele kitchen appliances: full size wine refrigerator, built-in coffee expresso machine, steam oven, double ovens, dishwasher and a side-by-side refrigerator. The oversized laundry room includes a built"
"You probably won t ever find another exceptional and brilliant modern home like this in the entire South Bay. It was through perseverance that its approximate 1,000 square foot roof top deck was ever built. And, to acquire a property that offers a main residence including a guest suite on the north side of the walkstreet just 3 houses from the sand of an A+ location is beyond skillful. Yet, that s not only what makes this property special. It s the ou"
"Coastal essence with a contemporary California Twist in this corner lot location. In a rare area of 30' high limit, 1 block from downtown MB in American Martyrs offering HUGE PANORAMIC 180-degree OCEAN VIEWS that lends itself to a beach resort lifestyle amid a striking surround. 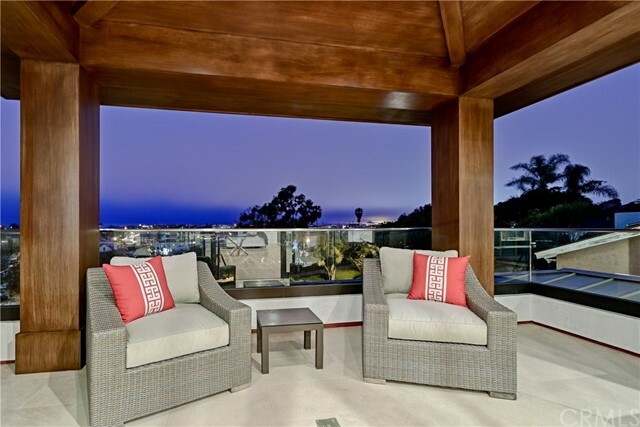 Unimpeded ocean vistas through the views that pan CATALINA, Palos Verdes, Santa Monica Mtns to Malibu. Perfect for entertaining with its top floor of living space designed completely open with the kitchen, dining room, f"
"Presenting a totally unique, 4,511sf modern 3 level, 5 bedroom, 6 bathroom home on an almost 10,000sf double lot with a one-of-a-kind private sports field. 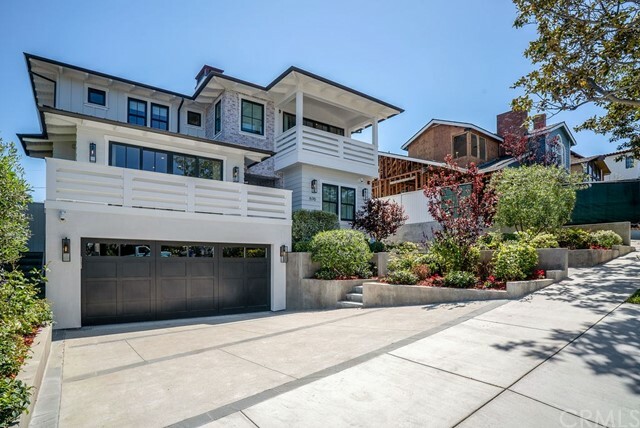 With 90 feet of frontage, this is the most exclusive home on one of the best Manhattan Beach Tree Section blocks. Mid-block on flat, traffic-less Palm Avenue. Enter this property from the dramatic stoned walk-up, directly from the flat, 4 car driveway or walk in from the private sports field gates. The entry level boasts an 11 "
"1026 Pacific brings the Strand to the Hill, it sits at the gateway to Manhattan Beach s finest estates in the Hill Section, spanning four levels, with sliding glass walls opening onto a private yard, 6 bed ensuites, a floating office/meditation crow s nest, a conversation pit w/ an open fire feature, a stadium seat movie theater with its own concession lobby, a stylish glass-enclosed wine room, a large gym/playroom, and a massive two level subterranean 8 car garage "
"An extraordinary opportunity to own one of the most unique and exciting properties to become available in years. Sitting on a near double lot (a rare 60 feet of prime walk street frontage), this property consists of a 3,600 sq ft 4 bedroom main house with (two) 2 bedroom and 2 bath income or guests homes. The home has been fully remodeled down to the studs with new HI-END EVERYTHING! No expense was spared on the development of this legal triplex. Each of the apartment style units is approximatel"
"LOCATION LOCATION LOCATION Full 30 x 90 walkstreet to alley lot just 4 houses from the sand on a sunny south facing lot. The property is on one of the very best streets in Manhattan s sand section - a quiet street yet just a short walk to downtown restaurants, shops and the pier. One of the last undeveloped lots in the area is ready for you to build your dream home or perhaps two on a lot to live in one and rent out the other (new buyer to verify this option). 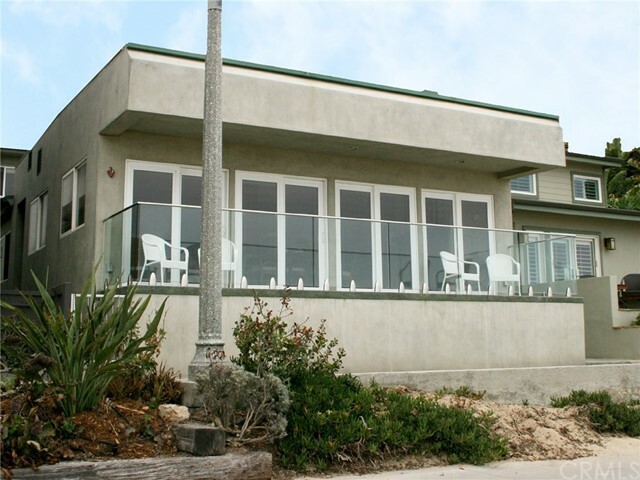 Currently the proper"
"Located on a prime corner lot in North Manhattan Beach, this property was once the original site of the Surf Rite Inn and is a special memory for many Manhattan Beach natives. 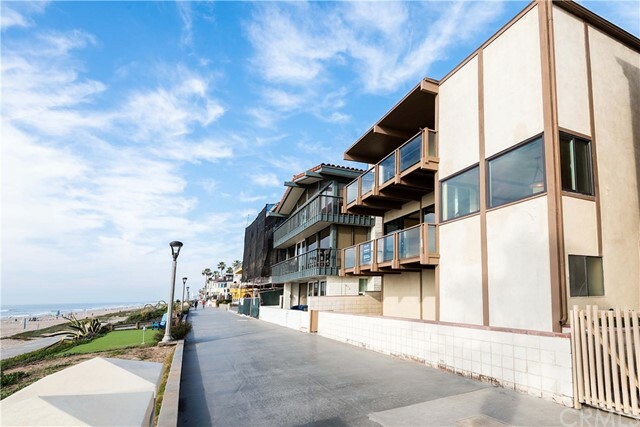 Currently, the 3,500 sf lot is home to a 3bd/2.5ba beachfront home with 3 additional units that can serve as weekend guest quarters or long term lease units for income. There are (2) 2 bed/1ba spaces and (1) 2 bd/1ba space. The main house enjoys sweeping views of the Strand and ocean beyond from many vantage points through"
"An exquisite offering by architect Louie Tomaro and developer Patrick Kealy. Enjoy the feel of a luxurious private retreat with cool ocean breezes and magnificent ocean views. This home is newly constructed, and exudes elegance with mahogany columns, natural stone fronted fireplaces, and multiple sets of panoramic doors allowing you to savor coastal inside/outside living. 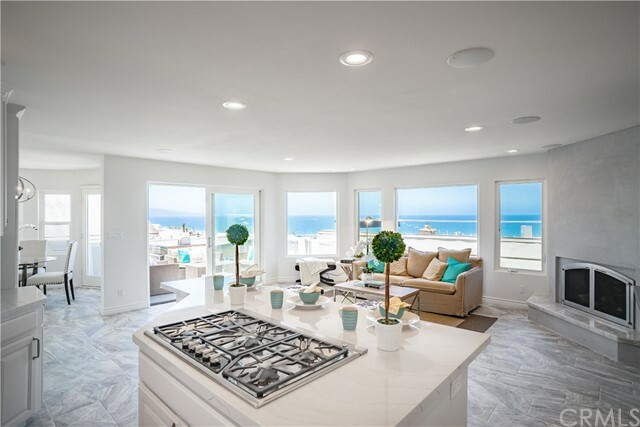 The main entry level features 3 bedroom suites, a formal living room, a central great room and home gym/office that seamlessl"
"This stunning coastal home has incredible 180 degree ocean views from Palos Verdes to Malibu & is an entertainer s dream come true! Former home of famed NBA player and head coach, Paul Westphal, this home is super-sized with over 4,200 sq ft of pure luxury. 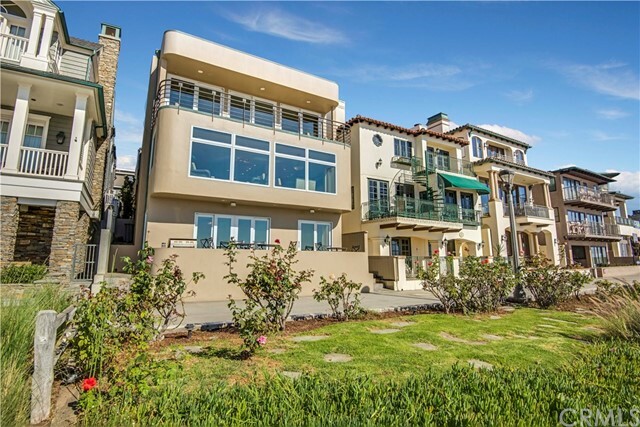 Located on arguably the best walkstreet in all of Manhattan Beach, this magnificent home boasts 5 bedrooms & 4.5 baths, a separate dining room with ocean view wet bar, a breakfast nook, 2 living rooms plus a media room with Fre"
"Found in the Tree Section of Manhattan Beach, on a 9,282 sq. ft. double lot (BTV) just minutes from white sandy beaches, shopping, award-winning schools and LAX lies this Santa Barbara inspired custom built home with guest property. The main house (3305 Pine Ave.) offers more than 3,300+ sq. 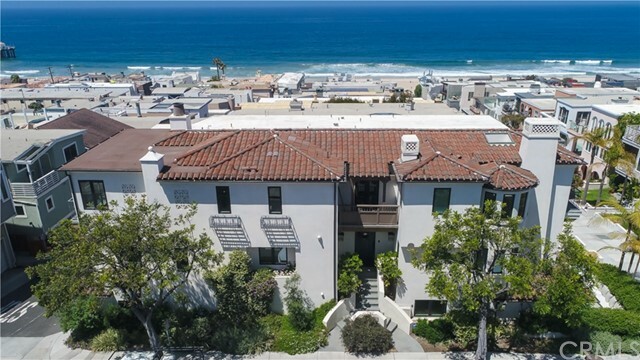 ft. (BTV) of living space on two levels rife with high-end details like reclaimed barn wood flooring, coffered and groin vaulted ceilings, French terra-cotta tile, custom wrought iron, designer lighting and "
"Just a few blocks from downtown Manhattan Beach, the pier, & the ocean. Every incredible restaurant, shop, and beachfront living at its finest, what more could one ask for? The spectacular beach property is a large 5,000 sqft of open living space. Boasting tons of style, incredible design and impeccable attention to detail throughout. Conceptualized by Matt Morris and drawn by Doug Leach. Wide plank natural finish oak hardwood floors pull you into this home. 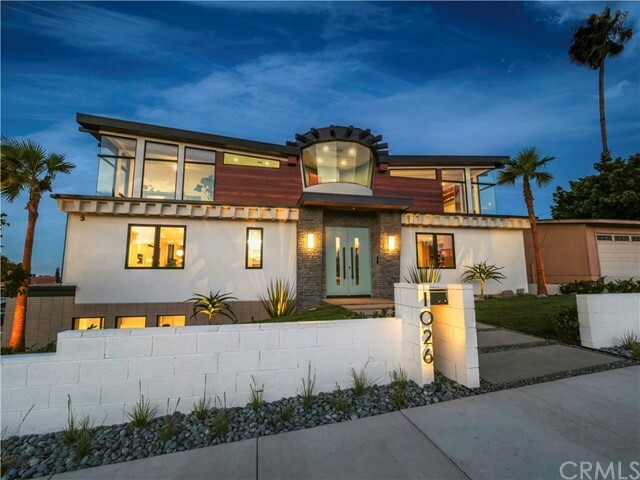 Then the details and craftsmanship st"
"One of a kind Custom Coastal Plantation Home in the highly sought after American Martyrs Section of Manhattan Beach. This spacious home is light, bright and drenched in sunlight. The open floor plan features three levels including a full basement with movie theater, wine cellar, game room and guest bedroom/work out studio. The family room is open and adjoined to the large chef's kitchen with a dramatic island as the center hub. The main living area opens directly to the large South Facing grassy"
"Tucked in just over the top of the iconic 8th and John Street intersection in MB s prestigious Hill Section, is this stunning, meticulously-crafted, luxurious warm modern new construction home that features panoramic mountain, downtown LA, city and jetliner views. 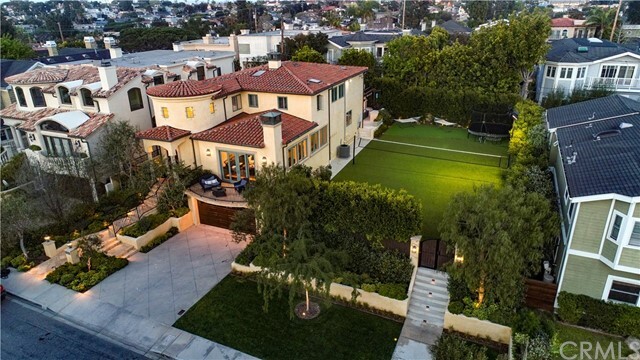 This luxurious home is walking distance to downtown Manhattan Beach and consists of 5,656sf with 5 bedrooms, 6.5 baths, an office suite, theatre, wine room & full basement. 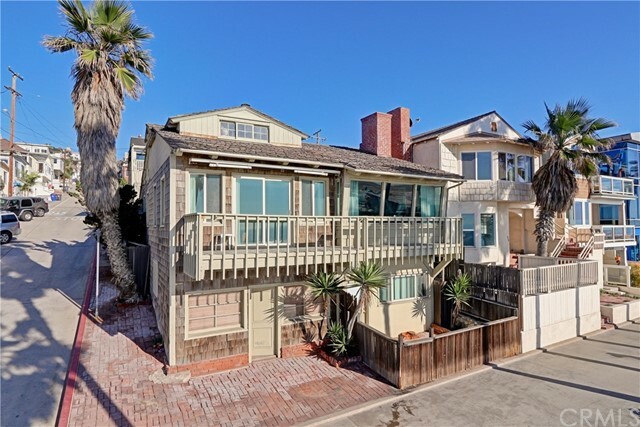 Enjoy the outdoors with an ample backyard and n"
"Loaded with original Manhattan Beach cottage charm, this prime beachfront property offers a once-in-a-lifetime opportunity to set new roots down on a truly special piece of The Strand. 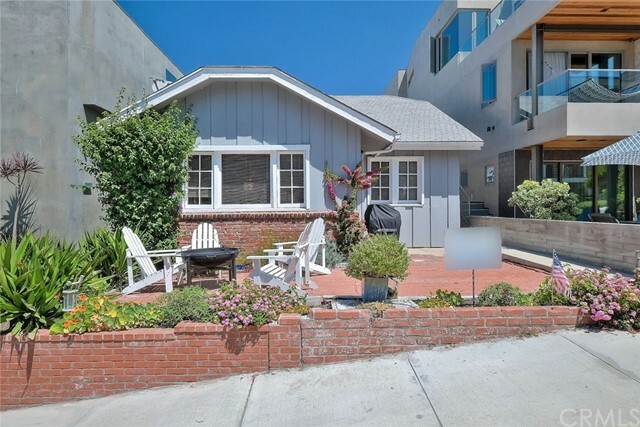 Currently, an original 1939 duplex that features (2) 2 bed/1ba units facing The Strand sits on the 3,500 sf interior lot. A detached 1bd/1ba unit faces Ocean Dr. 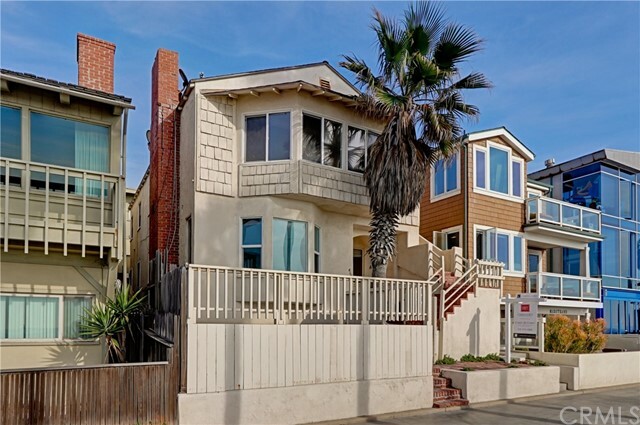 This prroperty features classic beach vibes with hardwood floors, bright,sunny living areas & large picture windows to capture the panoramic views from C"
"Located on a premier Manhattan Beach walk street, this custom-built home is an entertainer s dream. Just steps to the beach, it offers comfortable family living, with jaw-dropping ocean views and abundant natural light throughout the home. Enjoy the coastal lifestyle in this 4,269 square foot home with 4 bedrooms, 4 1/2 bathrooms and three levels of truly stunning finishes. The top level features two spacious, ocean-view great rooms, an outdoor room with custom fireplace & seating"
"Speechless serenity abounds when living in this home that makes you feel like you re on vacation year round. Approaching the front door down the walk street is mesmerizing since the beach and ocean are merely paces away. Upon entering the home you are immediately charmed by the interior shiplap walls and oak hardwood floors. This sophisticated yet warm inviting home is flooded with light from the plethora of windows and skylights. 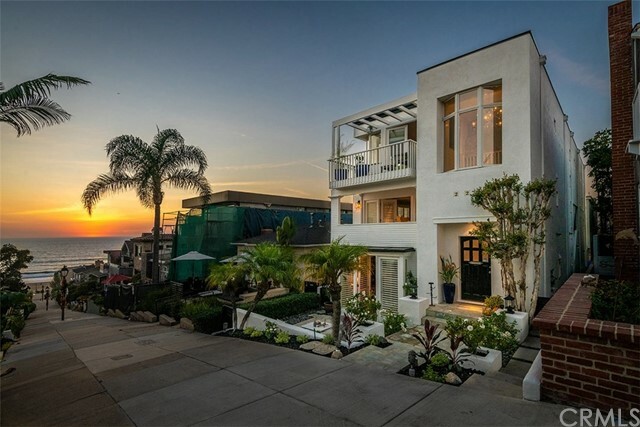 On the first level is a beach room directly off th"
"This stately home in the coveted Hill Section of Manhattan Beach is a multi-level five-bedroom, six-bath wonder with over-the-top amenities and gorgeous ocean views. Welcoming you to this luxurious residence is the formal sunken living room, complete with floor-to-ceiling French doors leading to a private ocean-view balcony. Just beyond, the open family room, kitchen and breakfast nook feature updated finishes and plenty of custom built-ins for storage, including Carrara marble countertops and a"